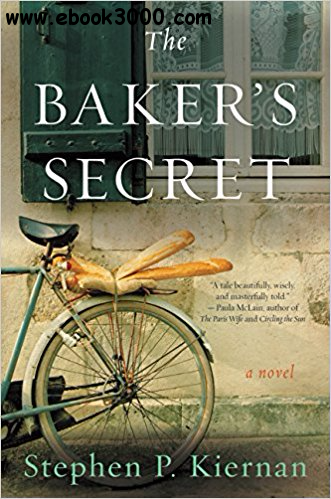 From the multiple-award-winning, critically acclaimed author of The Hummingbird and The Curiosity comes a dazzling novel of World War II-a shimmering tale of courage, determination, optimism, and the resilience of the human spirit, set in a small Normandy village on the eve of D-Day. In the years that her sleepy coastal village has suffered under the enemy, Emma has silently, stealthily fought back. Each day, she receives an extra ration of flour to bake a dozen baguettes for the occupying troops. And each day, she mixes that precious flour with ground straw to create enough dough for two extra loaves-contraband bread she shares with the hungry villagers. Under the cold, watchful eyes of armed soldiers, she builds a clandestine network of barter and trade that she and the villagers use to thwart their occupiers. But her gift to the village is more than these few crusty loaves. Emma gives the people a taste of hope-the faith that one day the Allies will arrive to save them.